Being a leading firm in this industry, we are deeply engaged in offering a high-quality range of Sabji Masala. 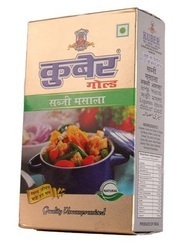 Our company has created a niche in the field of offering Vegetable Masala Powder. - Prepare the vegetable of your choice. Add 1 tsp. of Satvam Sabji Masala to 500g of cooked vegetables. - Mix well and stir for 2 min. - Cover for another 3-4 min to retain the perfect flavour and aroma of Satvam Sabji Masala. With a focus on the ever-evolving demands of our customers, we have come up with a wide range of Sabji Masala. Our organization holds expertise in processing, exporting, distributing and supplying superior grade Sabji Masala in Delhi, Delhi, India. 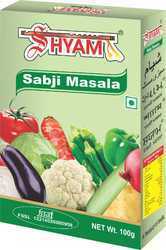 Our offered Sabji Masala is widely appreciated by our customers, which are situated all round the nation. Known for its best quality, clients can avail this Sabji Masala at industry leading prices from us.